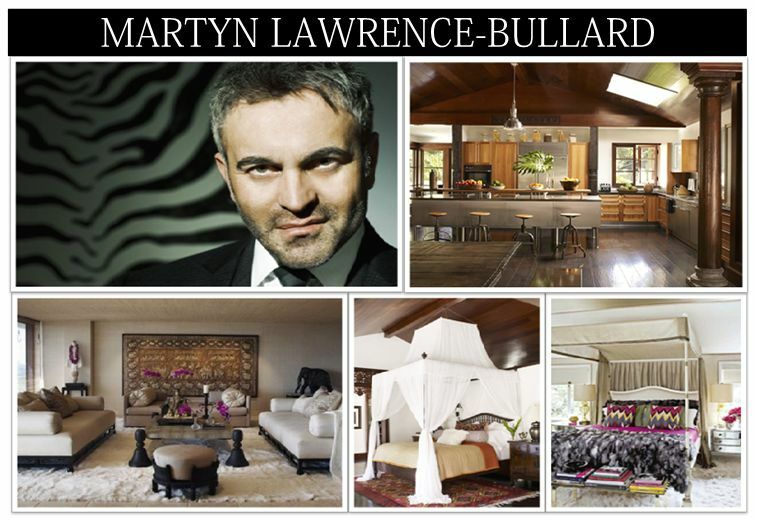 Martyn Lawrence-Bullard is recently most famous for his role on Million Dollar Decorators. He is an over the top interior designer to Hollywood’s A list. On Million Dollar Decorators we were able to take a peak at the home of Joe Francis and in the June issue of Architectural Digest we see into Sharon and Ozzy Osborne’s house. No matter the project, Martyn’s look is a refined eclectic mix with a little touch of that Hollywood glam. This entry was posted in Design, Designer Spotlight, Fabric and tagged decorator, designer, fabric, flame stitch, greek key, million dollar. Bookmark the permalink.